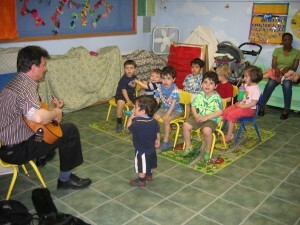 The PAA is pleased to offer music classes for infants, toddlers, and preschoolers. Music and More will feature an interactive, age-appropriate introduction to music and musical instruments with a guitar and storytelling combo. Activities will encourage participation through call-and-response songs, and will develop the children’s sense of rhythm through words and music further enhanced by interactive demonstrations of percussion instruments. If interested, please email music@paanyc.org for a schedule and more information.